Fashion is a continually moving industry where trends change every few months, but with some styles, because they are that popular, they manage to move through the seasons. Looking at recent trainer styles to different fashion trends, here’s a look at four styles you can expect to see in the winter. Hate or love them; they are here to stay. Luxury designers like Gucci, Balenciaga and Louis Vuitton have started the trend of overstated trainers that look about 20 years old, hence the term dad trainers. 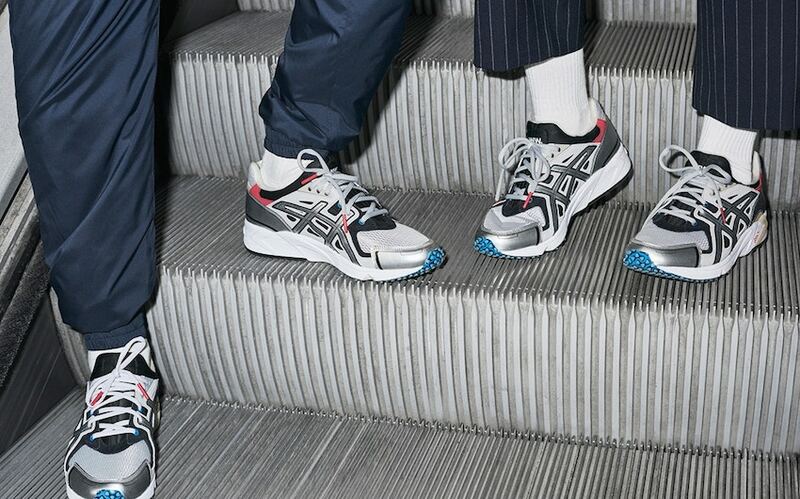 But because of their popularity and the hype around them, brands such as FILA, Asics and New Balance have taken advantage of this and created their own take on the trend at a much more affordable price. Currently, a mens twin set are a significant trend in the streetwear industry, and they are usually a T-shirt and shorts combo. Although the garments are going to change slightly, the twin set trend will still be a strong trend in winter, and will likely become a joggers and jumper set instead. An accessory which has continuously been a choice for headwear. Although beanies and bob hats are a popular choice in winter, Jameson Carter styled trucker caps, for example, stay as a choice to match streetwear styles as beanies don’t tend to be worn. The colour pallet will likely change though, tonal dressing and pastel colours will become the first choice in the winter as the brighter colours might not match the darker colours of winter. Another style that has been around for years, but this summer it has offered over exaggerated styles that autumn/winter fashion shows haven’t moved away from. Darker winter colour will be used and we may see some new taken of the ripped style, but none the less you can expect to see them throughout the winter. Hopefully, this incite might help you before you begin your winter wardrobe shopping, and even inspire you to commit to a garment you thought would be around for long (we’re looking at you, dad shoes! ).